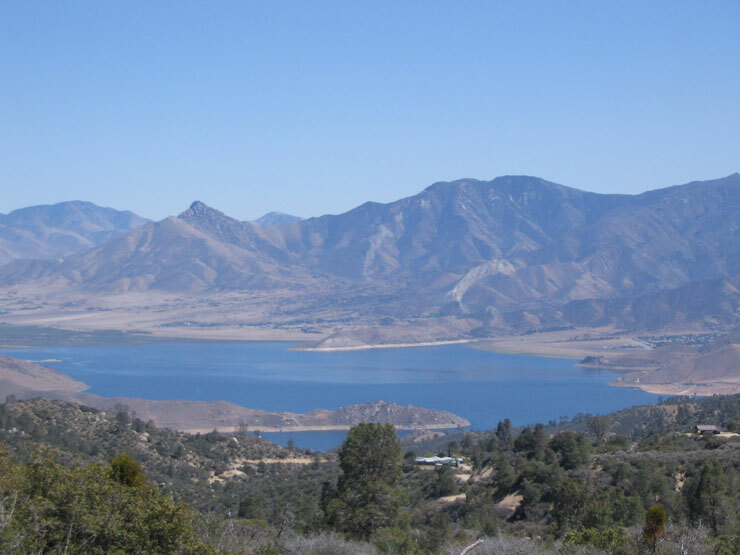 Isabella Lake: Lake Isabella is at the confluence of the North and South Forks of the Kern River. These rivers are 'wild', in that they are not controlled by any dam upstream. Upstream on the North Fork white water enthusiasts play in the spring and early summer. The famous Golden Trout originate in these rivers in the high country to the north. When the Europeans first explored this area they found it populated mostly by a couple of Indian tribes, the Tubatulabals and by a few Paiute-Shoshone. The Tubatulabals were a happy, friendly people. The name, "Tubatulabal" means "those who go out and gather Pinyon nuts". They were referred to by other Indians as the 'happy talkers' because their language was lilting and full of laughter. The Paiutes were from the deserts to the north east across the Sierras. The two tribes were fairly closely related by marriage ties. 'Paiute' is taken from an Indian word meaning 'fly eaters'. An important part of the Paiute diet was a flour made from dried ground up brine-fly larva. These larva swarm thickly in the salt lakes of the desert basins. Lake Isabella Town: In 1857 a gold rush to the Whiskey Flat area in the early 1850s brought a flood of new faces to the lower North Fork area, and in the mountains and canyons nearby. 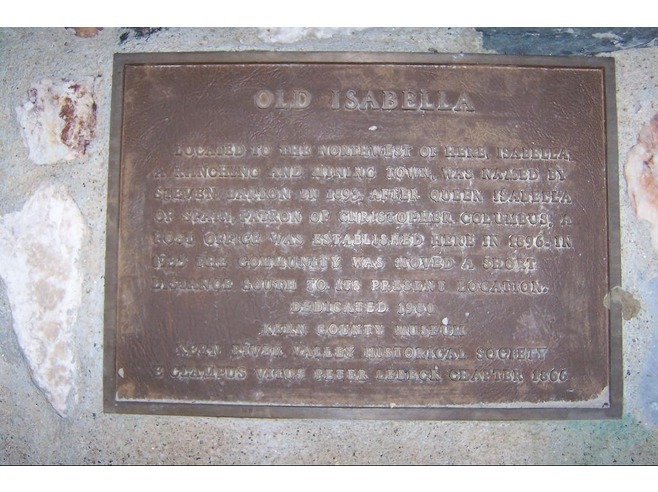 The town of Isabella was founded by Steven Barton in 1893 and named in honor of Queen Isabella of Spain while her name was current during the 1893 Columbian Exposition. Lake Isabella was created by a dam on the Kern River in 1953 forcing the town to move about 1.5 miles (2.4 km) south of the original site. The Isabella post office, which had opened in 1896, operated at the new site until the name was changed to Lake Isabella in 1957. The dam's reservoir also inundated Kernville, a later name for Whiskey Flat. Most of Kernville was relocated to higher ground nearby. The area is a mecca for hikers, boaters, water skiers, fishermen, birders, hunters, wind surfers, kayakers, and other outdoor recreationists. Tourist trade is a major part of the area's economy. The Mighty Kern River: The Kern River is a river in the U.S. state of California, approximately 165 miles (270 km) long. It drains an area of the southern Sierra Nevada mountains northeast of Bakersfield. Fed by snowmelt near Mount Whitney, the river passes through scenic canyons in the mountains and is a popular destination for whitewater rafting and kayaking. It is the only major river in the Sierra Nevada mountain range that drains in a southerly direction.